Australia faces many challenges which impact our natural environment. As stewards of this land, we have a responsibility to care for and protect it. We are all landcarers and we need to work together to build a better tomorrow is integral to ensuring our country’s future. As individuals, we can make a small difference. But together we can achieve great things. Landcare volunteers give more than just their time to protect the future of our natural environment. Their passion, commitment and determination is inspiring. They work hard so that we can have a better tomorrow. Today please consider making a special contribution of $35, $50 or $100 or anything you can manage. Your contribution will help achieve great things by developing the tools needed to support Landcare’s most important assets – Landcare volunteers. 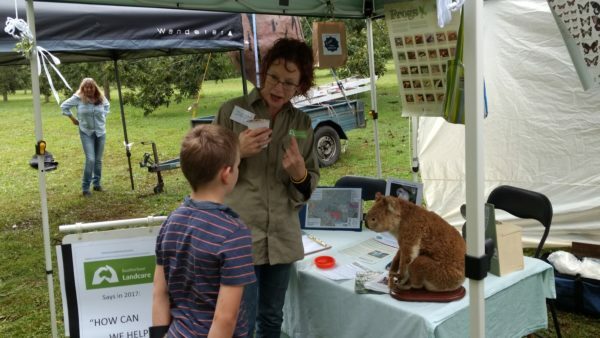 How important are our Landcare volunteers? Meet Dot and Glenn Moller from Boatharbour Landcare in Lismore. They became Landcare volunteers in 2007 when they noticed their local landscape was in desperate need of rescuing. Dot and Glenn’s story is just one example of the great work volunteers are achieving across the country. Like you, they care about our country’s future. We cannot build a better tomorrow without the help of people like Dot and Glenn. Landcare Australia wants to help every Landcare group across Australia recruit more volunteers so that our natural environment receives the care and protection it desperately needs. In an era of continuously evolving technology, we have a fantastic opportunity to ‘build a better tomorrow’ through an innovative digital micro-networking platform called Landcarer. Landcarer will help usher the Landcare movement into the digital age. The first of its kind within the Landcare community, some of the features the platform offers includes publishing the latest data from research and development organisations and other knowledge experts, and offering capabilities for Landcare groups, like Dot and Glenn’s, to recruit volunteers. “We are working on building a module that gives access to a volunteer network that will help individuals looking to volunteer and those in need of volunteers to connect with each other instantly,” Rohan said. With your support of $35, or anything you can manage, you will be contributing to an important tool for building a better tomorrow for our natural environment. And a stronger volunteer community builds a stronger Landcare movement.